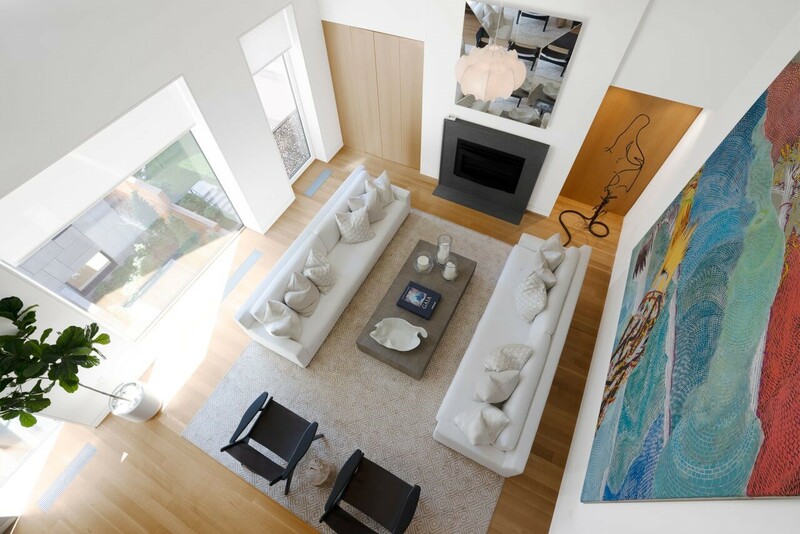 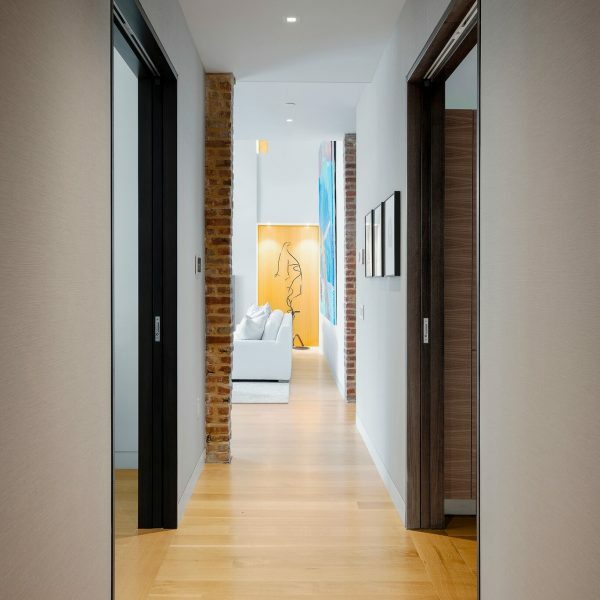 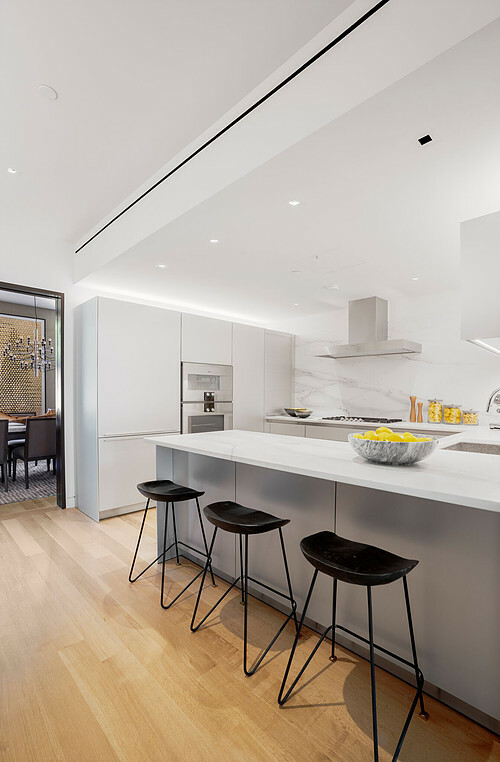 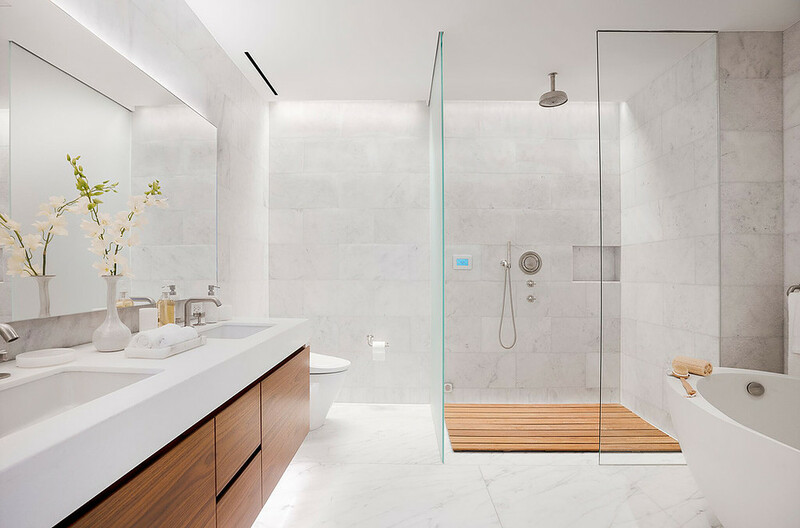 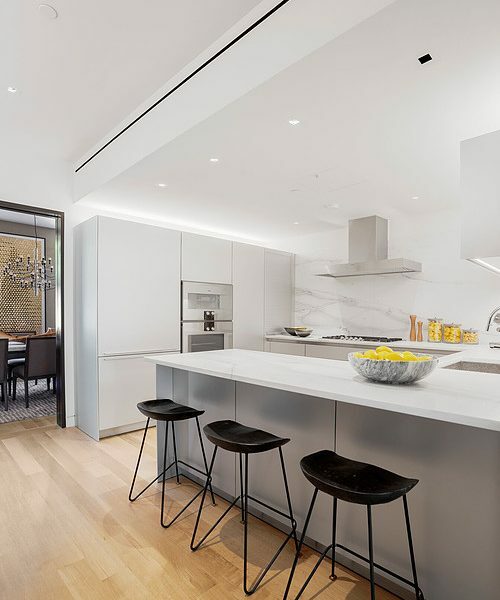 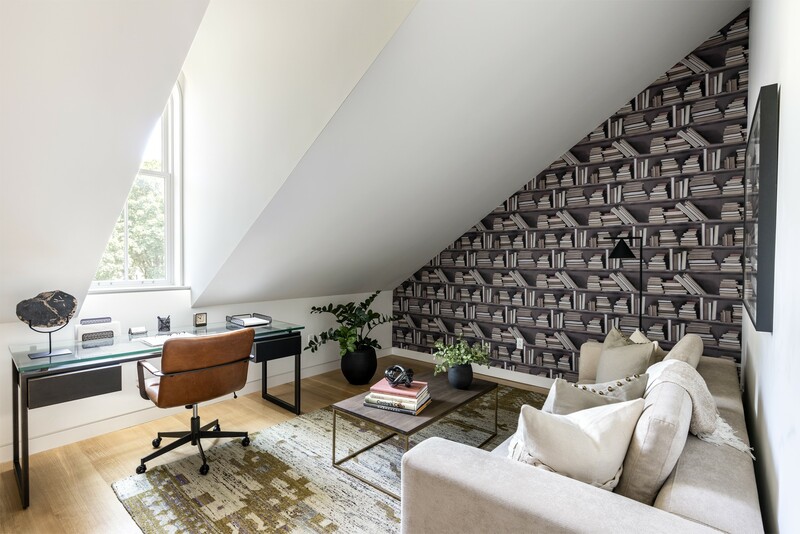 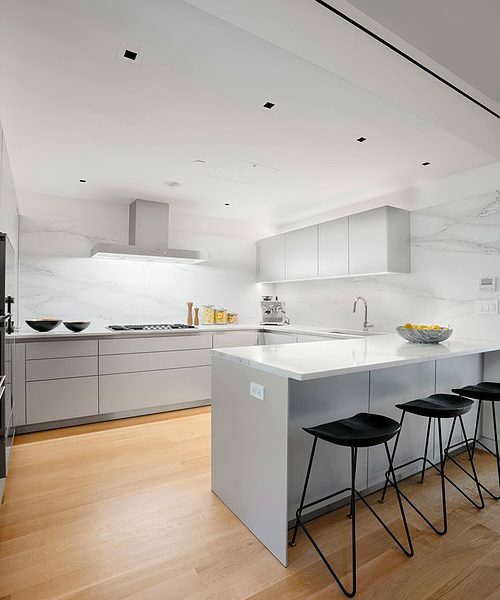 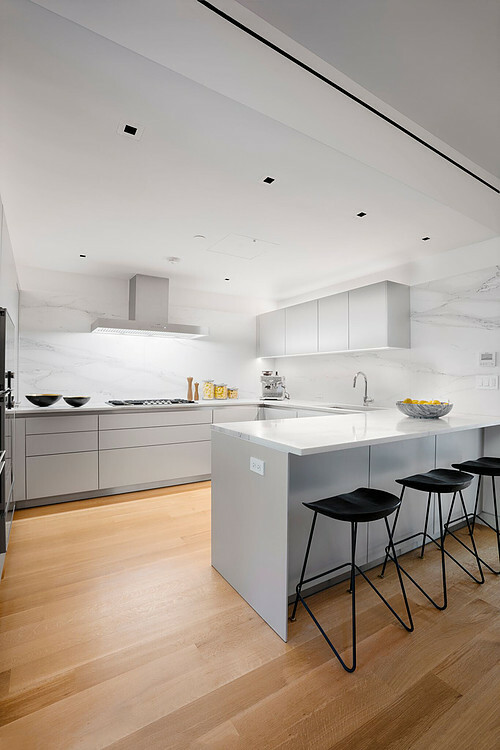 Steps from Soho in the historic center of Nolita, this 5-bedroom residence is part of a nine-unit redevelopment of what formerly was the St. Patrick’s School and Convent. 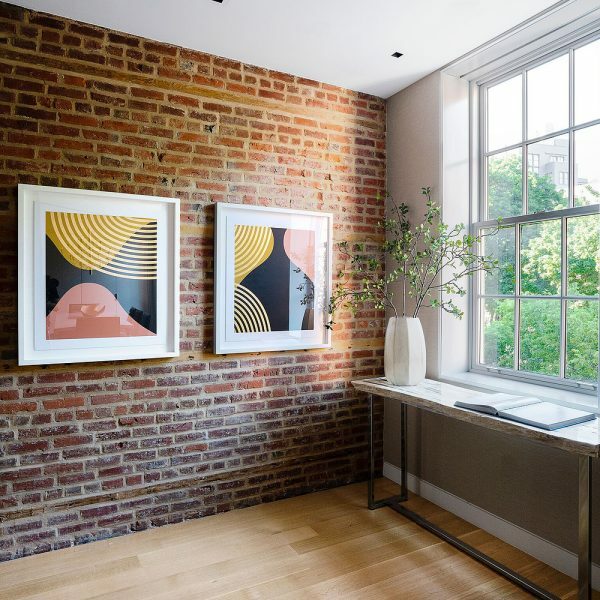 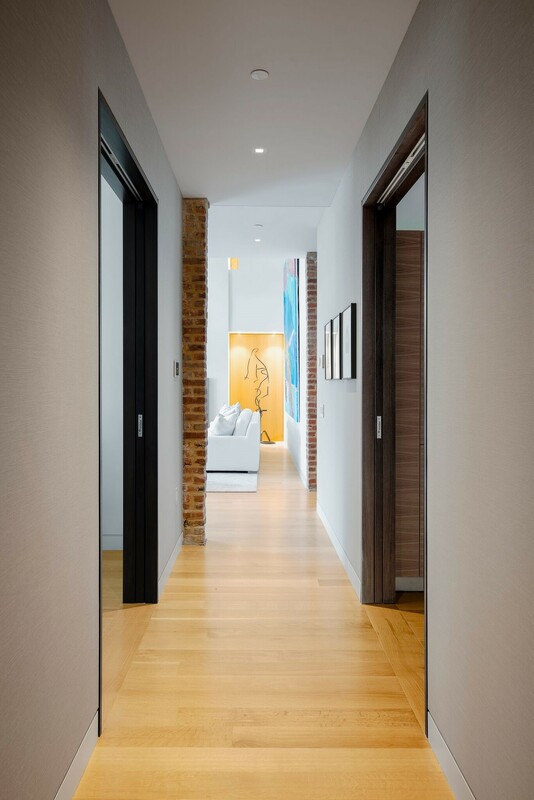 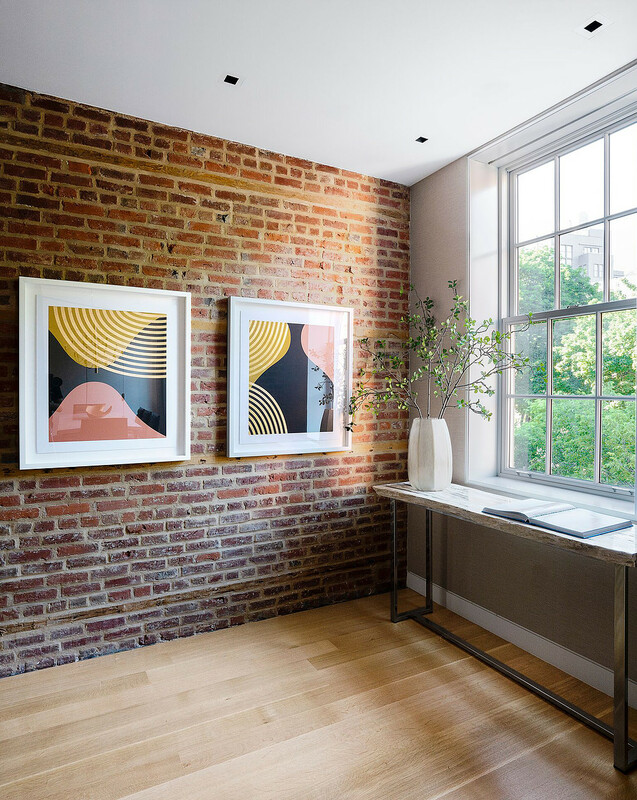 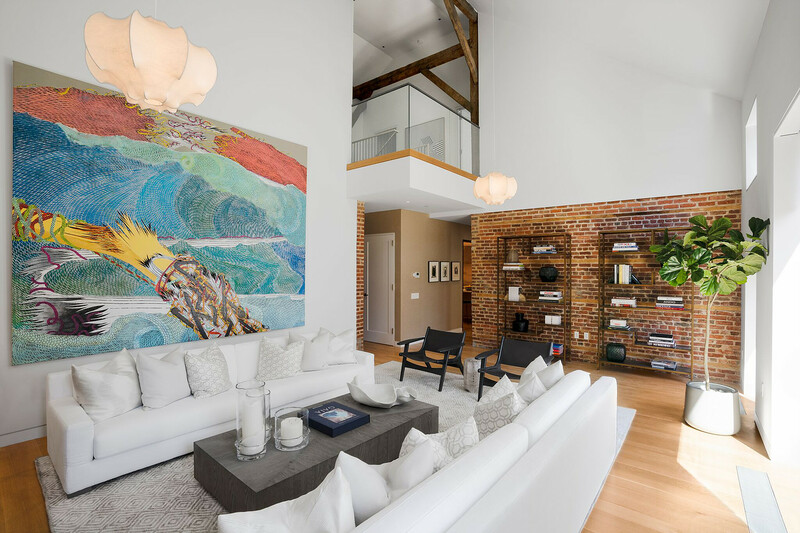 The client’s objective in this landmarked project was to complement the original brick walls and wood beams. 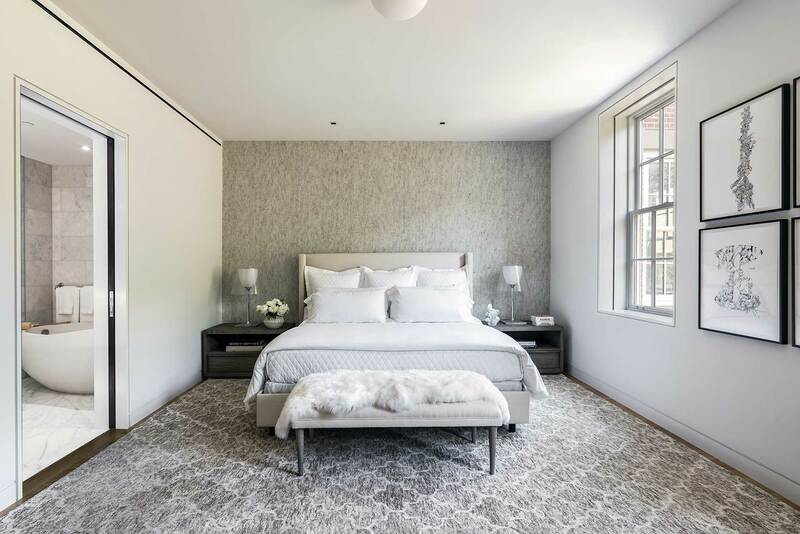 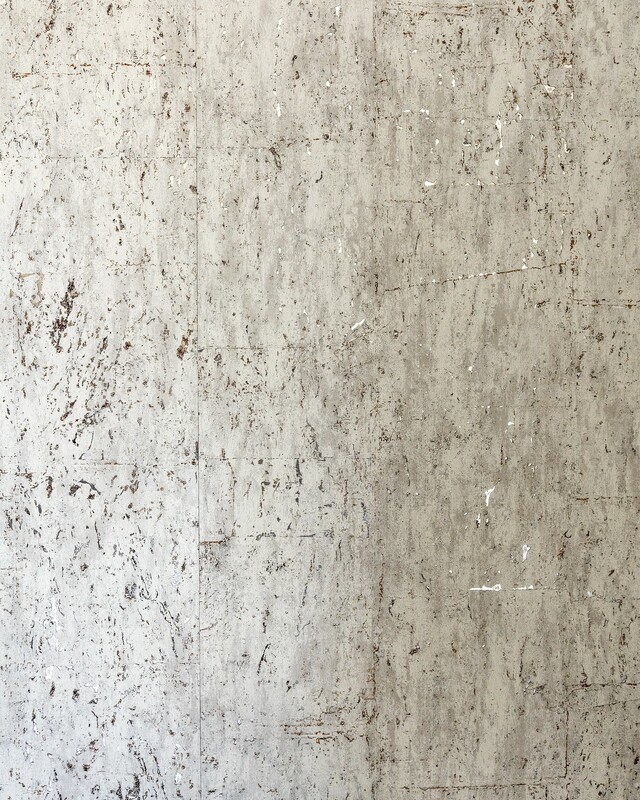 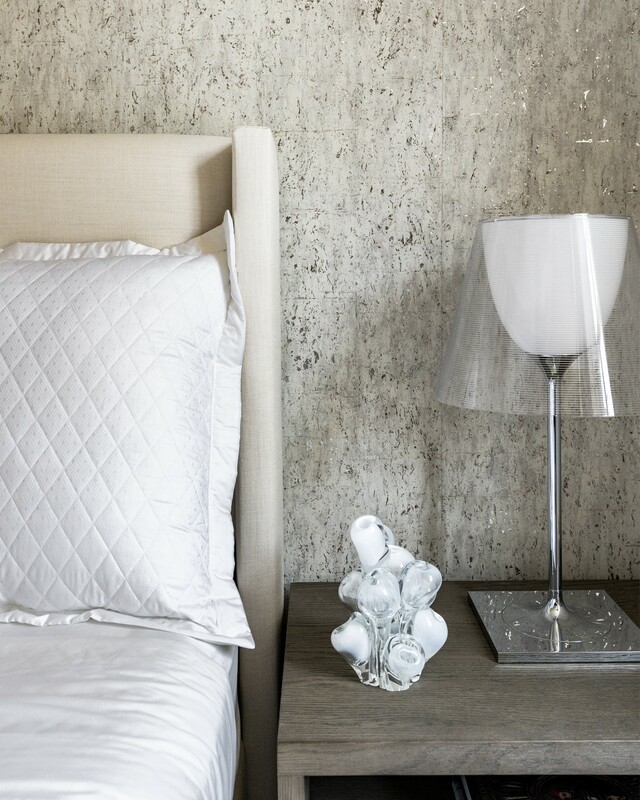 We used a suede wallpaper in the dining room and a mixed silver and cork wallpaper in the master bedroom. 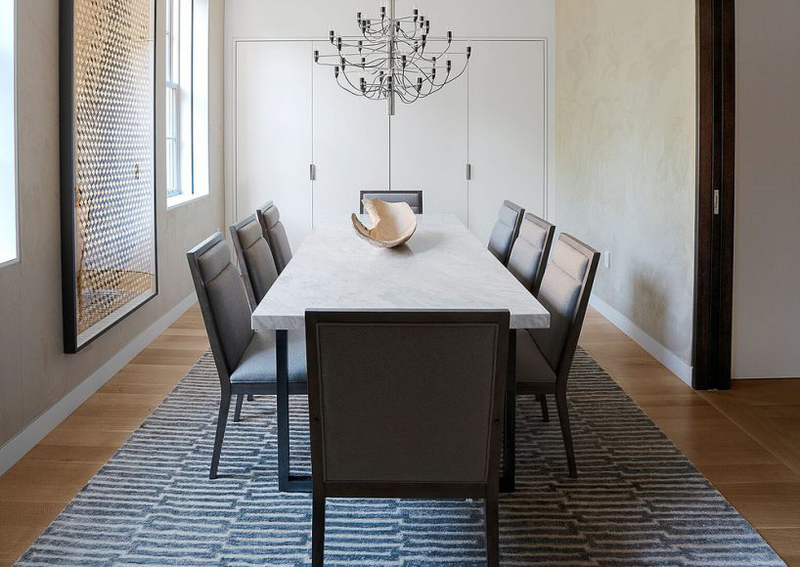 Petrified wood tables and other natural accessories create a warmer aesthetic. 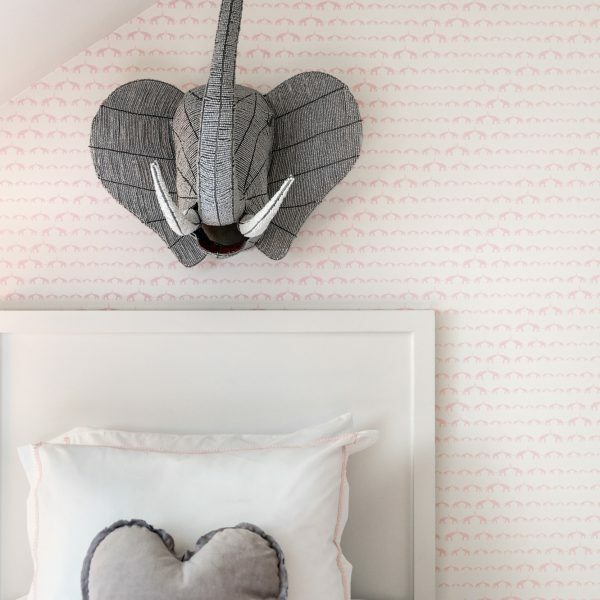 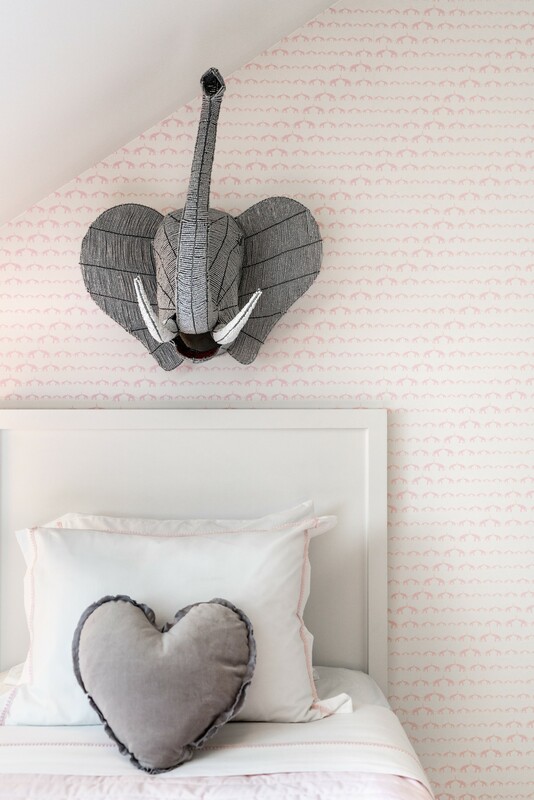 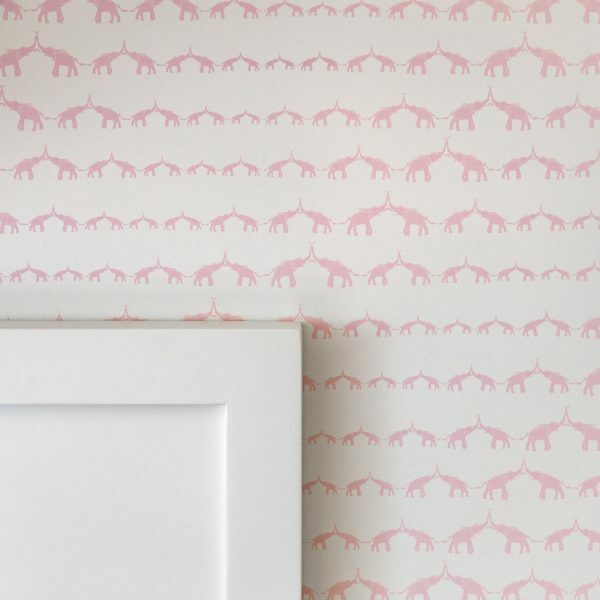 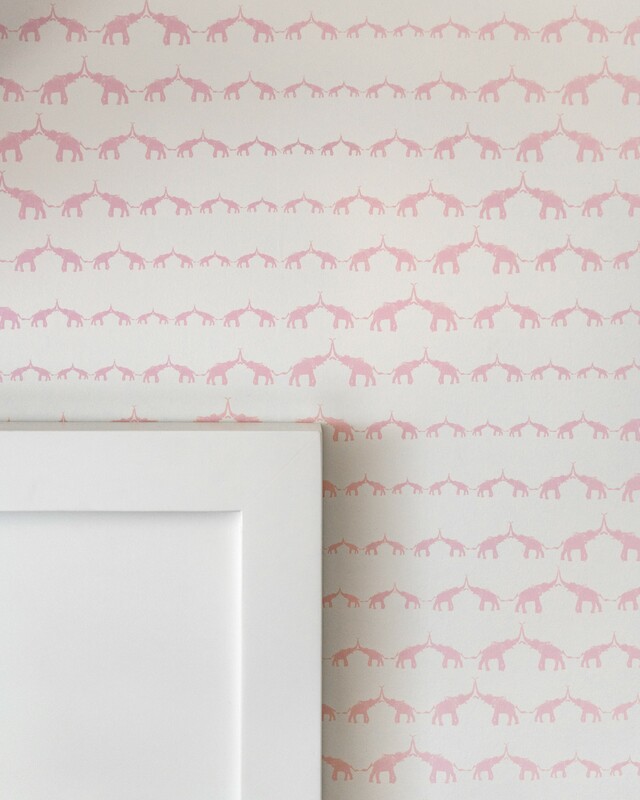 The kids’ rooms are fun zebra and pink elephant themes with wallpaper by Sissy+Marley. 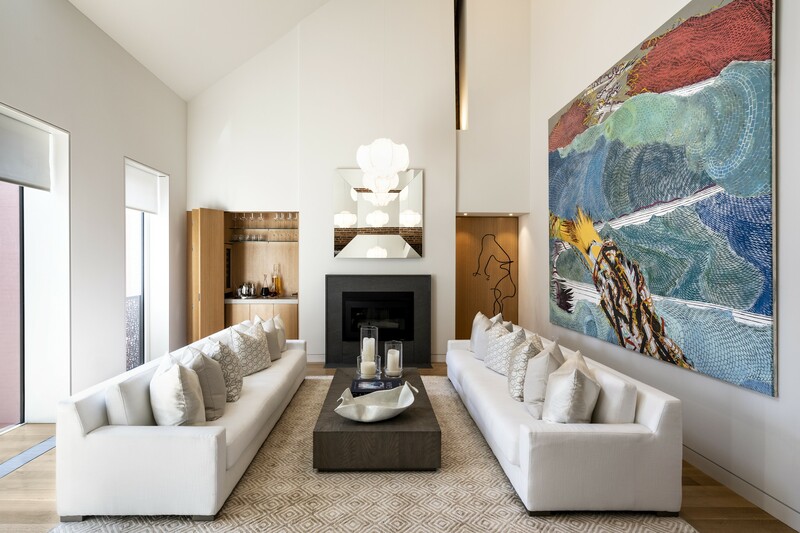 Artwork throughout is from the client’s private collection.